"Camden: Past, Present, and Future," on view now at the Stedman Gallery, shows the creative process behind a mural that spans nearly 700 feet of construction fencing along the Camden waterfront. See selections from the mural's original artwork, created by Camden schoolchildren, as well as work by the professional teaching artists who mentored them: Donna Backues Artist, Doris Nogueira-Rogers, and Cesar Viveros. The mural was created through a partnership with the Rutgers-Camden Center for the Arts and Liberty Property Trust. 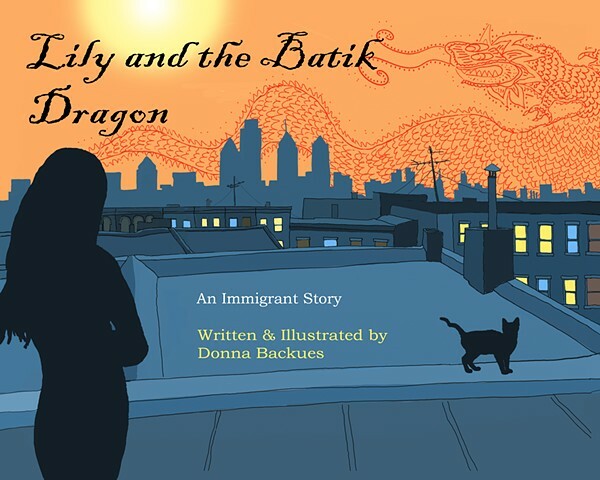 Donna wrote and illustrated a new book! Donna's Art Camp in the News! Donna's 5-day workshop in a West Java village madrasah (Islamic Religious School) was on national television! Check it out. Opening at the Galleries at the Chambers on June 17th! Register for Free. Space is limited! 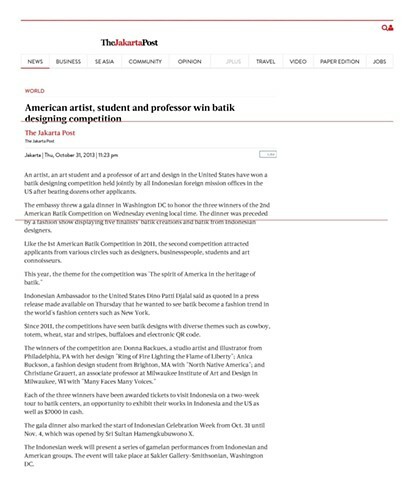 Donna Backues wins a national design competition!